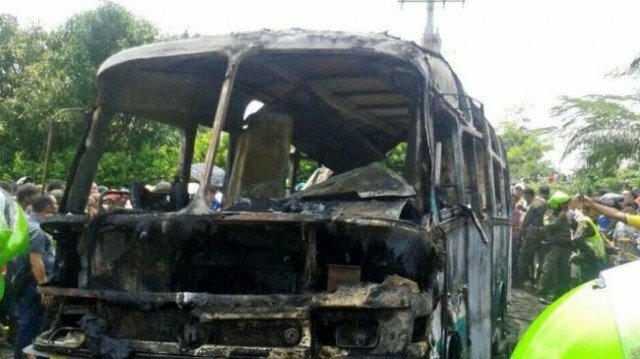 Home Tags Posts tagged with "bus fire"
At least 7 people have been killed and 20 others injured in a fire at a bus terminal in Goyang city, South Korea, officials say. 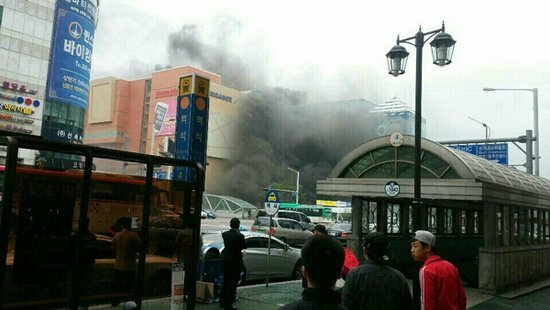 The fire occurred on Monday morning in Goyang city, northwest of the capital city, Seoul. Firefighters believe welding works at an underground construction site in the building started the blaze, which was brought under control in 20 minutes. The incident left two people in critical condition, emergency officials said. Several people suffered smoke inhalation and were taken to hospital for treatment. Bodies were found at the basement construction site, Yonhap news agency reported. The incident has come at a time of grief and national mourning as South Korea struggles to recover from a ferry sinking in April that left more than 300 people dead or missing. South Korean President Park Geun-hye has formally apologized to the nation for the disaster, promising to improve safety standards. Two subway cars also collided in Seoul in early May, injuring dozens of people.